On February 6, Czech Small Arms, s.r.o., a company organized in the Czech Republic, filed an application to register CZECH SMALL ARMS as a trademark for "Firearms" in Class 13 with the U.S. Patent and Trademark Office. 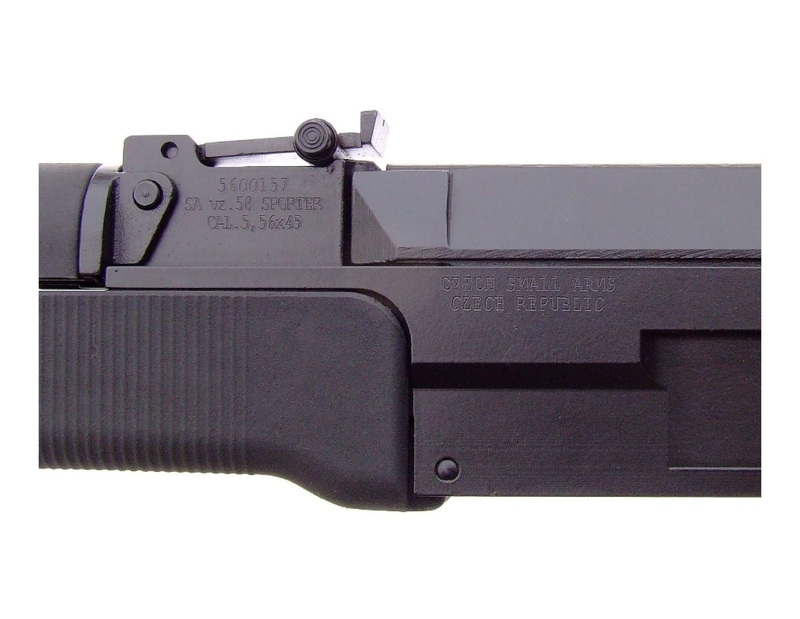 According to the application, Czech Small Arms has used CZECH SMALL ARMS as a trademark for firearms since January 2010. The specimen submitted with the application, which is submitted to prove use of the trademark in commerce, is below. But is the trademark primarily geographically descriptive, meaning the USPTO must refuse to register it under Section 2(e)(2) of the Trademark Act unless it has acquired distinctiveness? purchasers would be likely to believe that the goods or services originate in the geographic place identified in the mark. Is the Czech Republic a generally known geographic location? Do the firearms originate there? Are consumers likely to believe the firearms originate from the Czech Republic? If the answer to these questions is yes, Czech Small Arms will have a difficult time registering this trademark (on the Principal Register, which affords the most legal benefits, at least). An applicant can get a primarily geographically descriptive trademark registered on the Principal Register only if it can show the mark has acquired distinctiveness under Section 2(f) of the Trademark Act. Generally, a mark acquires distinctiveness when the consuming public recognizes that the goods sold under the mark are produced by a particular manufacturer, as opposed to simply perceiving the trademark as a geographically descriptive designation. Sometimes a mark is presumed to have acquired distinctiveness if the applicant can show substantially exclusive and continuous use of the mark for at least five years. TMEP 1212.05. Otherwise, the applicant must submit substantial evidence to prove the mark has acquired distinctiveness. TMEP 1212.06. If an applicant cannot prove acquired distinctiveness, it can settle for a registration on the Supplemental Register. TMEP 1210.07(a). In some cases, however, a term may be so geographically descriptive that it is deemed incapable of identifying the source of the products, and thus does not function as a trademark and cannot be registered at all. Id; see also Bee Pollen from Eng. Ltd., 219 USPQ 163 (TTAB 1983) (finding BEE POLLEN FROM ENGLAND incapable of distinguishing bee pollen from England). What do you think? Is CZECH SMALL ARMS primarily geographically descriptive of the underlying goods? If so, do you think the CZECH SMALL ARMS mark is well-known enough so that it might be registered on the Principal Register with a Section 2(f) claim? Or is the mark too geographically descriptive to even be registered on the Supplemental Register? We'll see what the examining attorney at the USPTO thinks in approximately three to four months when this application is reviewed. Is TEXAS PRISON WEDDINGS Merely Descriptive of Officiating...Texas Prison Weddings? 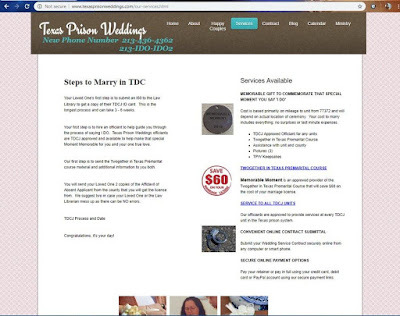 On February 4, an individual in Texas filed an application to register the words TEXAS PRISON WEDDINGS as a trademark with the U.S. Patent and Trademark Office. According to the application, the mark has been in use since December 20, 2015. A specimen submitted with the application, which covers "Providing wedding officiant services" in Class 45, is below. 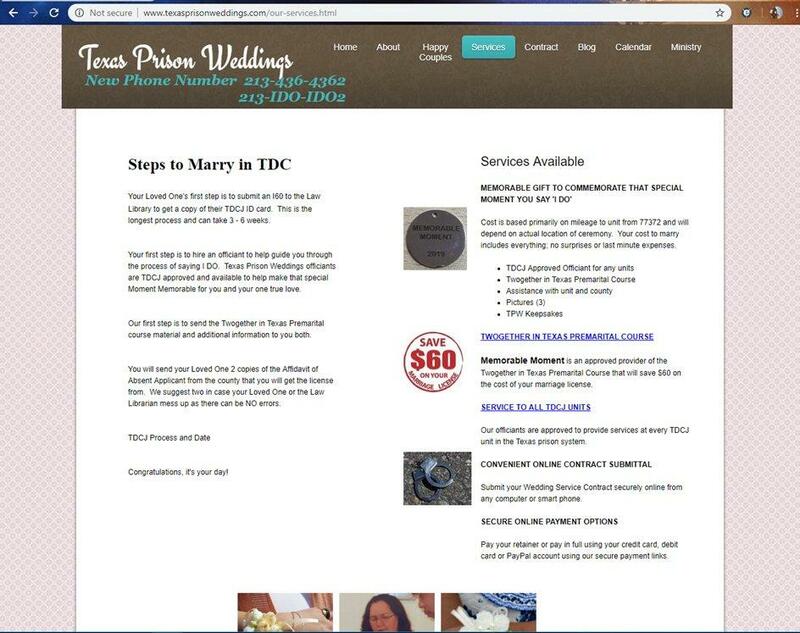 But is TEXAS PRISON WEDDINGS merely descriptive of "providing wedding officiant services"? If so, the USPTO must refuse registration under Section 2(e)(1) of the Trademark Act (unless the mark has acquired distinctiveness). According to TMEP 1209.01(b), a mark is merely descriptive if "it describes an ingredient, quality, characteristic, function, feature, purpose, or use of the specified goods or services." This determination involves "consideration of the context in which the mark is used..." Id. An examining attorney at the USPTO can look to sources like "websites, publications, labels, packages, advertising material, and explanatory text on specimens for the goods and services" to determine whether the mark is descriptive. Id. In sum, if a mark "immediately conveys knowledge of a quality, feature, function, or characteristic of an applicant’s goods or services," it is merely descriptive. Id. So does the term TEXAS PRISON WEDDINGS immediately describe or convey knowledge of a quality, feature, function, or characteristic of the applicant's services, which are wedding officiant services directed towards Texas prisons, according to the specimen? If the answer is yes, the applicant will need to (1) overcome the refusal by submitting arguments as to why the term isn't descriptive, (2) convince the USPTO that TEXAS PRISON WEDDINGS has acquired distinctiveness and is therefore eligible for registration on the Principal Register (extremely difficult to do, especially when the mark is less than five years old), (3) amend the application to the Supplemental Register, or (4) let the application lapse. Presidential campaign season is kicking off again and with that comes federal trademark applications for various campaign slogans and logos. The most recent applications come from Kamala Harris, who recently announced her candidacy for president on January 21, 2019. Almost two weeks later, on February 1, 2019, the Kamala Harris for the People non-profit corporation filed two trademark applications with the U.S. Patent and Trademark Office. 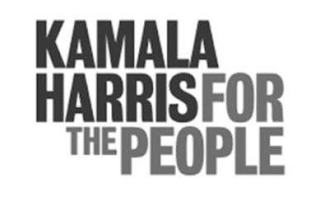 The first application is for the words KAMALA HARRIS FOR THE PEOPLE, while the second is for the stylized version seen below. These are the first federal trademark applications filed by the Kamala Harris for the People non-profit corporation. An attorney in the Seattle office of Perkins Coie filed the applications. This isn't the first time I've blogged about a campaign-related trademark application, nor are such applications uncommon. In August 2015, Donald Trump filed an application for TRUMP covering a variety of campaign materials (that application matured into a registration). Later in August 2016, Evan McMullin filed an application for his presidential campaign logo (which is still registered). And finally, Kid Rock filed an application for KID ROCK FOR SENATE, despite apparently never having an intention to run for Congress (that application was refused for a variety of reasons and may not register). Expect the filing of more campaign-related trademark applications as the campaign trail starts to heat up.